WAKEFIELD — During the holiday season, what could be more fun and exciting for the whole family than getting a Christmas tree? How about having your Christmas tree delivered to your home in a sleigh pulled by Rudolph Truck with Santa’s Elf behind the wheel? That’s exactly what will happen if you get your tree from the lot at Designer Lawn Sprinkler Service at 64 North Ave., Wakefield, Mass. (Across from the Galvin Middle School). Owner Fred Brizee and his crew are going the extra mile to make getting your Christmas tree an extra special experience. And now mom and dad don’t even have to worry about how to get it home. Santa’s elf with his sleigh will deliver your tree straight to your door for free and even help with set up. Last year, the Elf delivered over 500 trees. He’s on a pace to beat that record with over 100 trees delivered already this year. Delivering the trees has special meaning for the staff at Designer Lawn Sprinkler Service. They do it in loving memory of former employee Michael Blais who passed away last August. 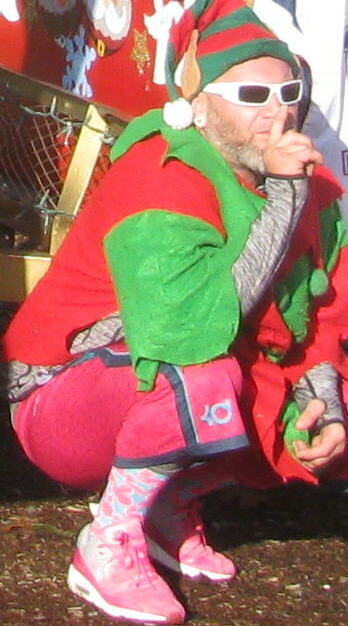 “He was the one who came up with the idea of the trailer and the Elf,” Shiner says. Some of the proceeds from this year’s tree sales will go to a fund set up for Michael’s son, The Cashen A. Blais Family Fund, c/o Eastern Bank, 445 Main St., Wakefield. Also this year, watch the Wakefield Community Group on Facebook or owner Fred Brizee’s Facebook page for announcements of fun activities for the kids right up until Christmas. 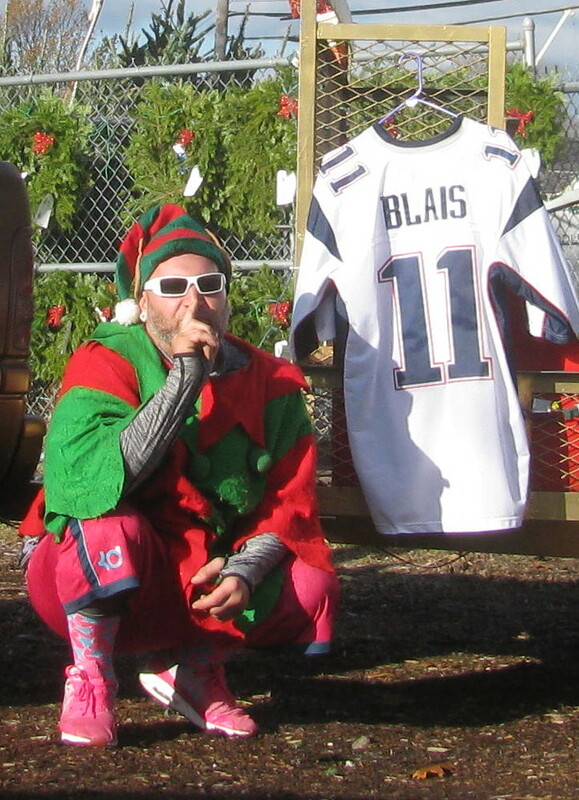 The Elf may be hiding prizes around Wakefield. Watch the Facebook pages for clues! Why not make shopping for your Christmas tree an extra special experience this year? 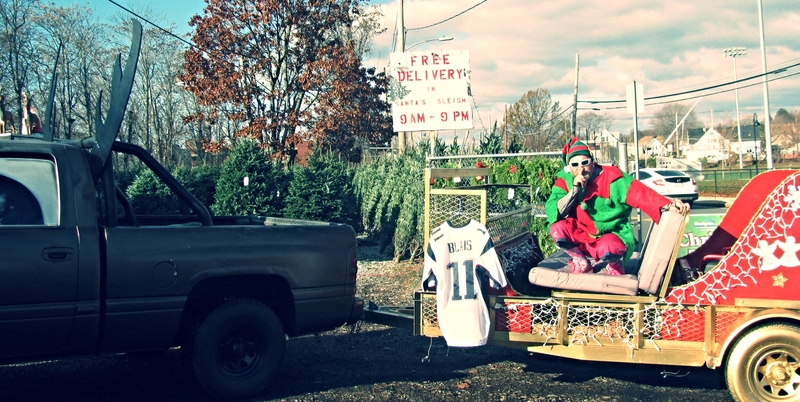 Stop by Designer Lawn Sprinkler Service at 64 North Avenue for a wide selection of trees and take advantage of the free delivery by the Christmas Tree Elf and his sleigh! Or phone 781-246-2087 for more information.